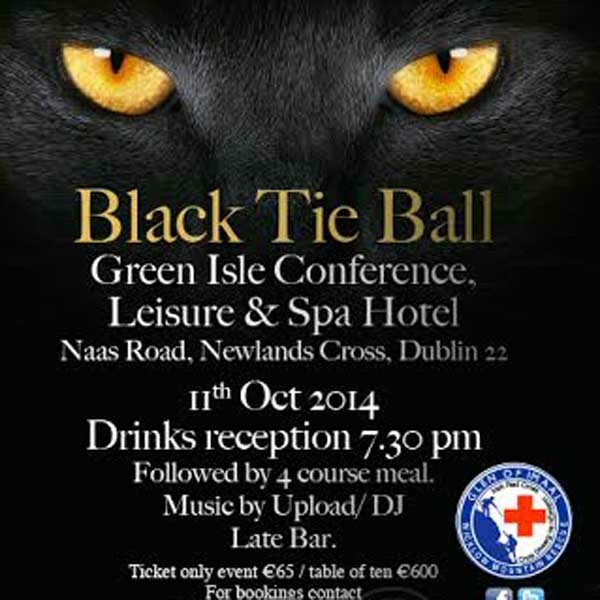 The Glen of Imaal Red Cross Mountain Rescue Team are delighted to announce that their second annual Black Tie Ball will be taking place this coming October in the Green Isle Conference Leisure & Spa Hotel. 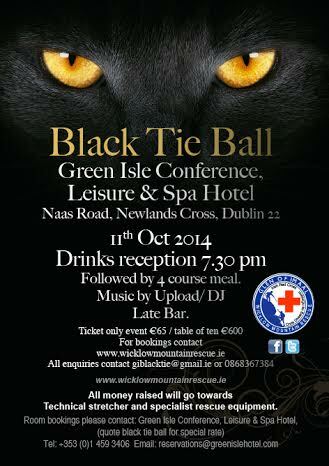 So why not book your places while tickets are still available and help raise money for the Glen Team without having to do anything more arduous than dress to kill, enjoy fine food and drink and dance the night away along with our members wearing attire very rare for them….the tuxedo and ball gown. All money raised from this event will go toward the purchase of a new technical stretcher and specialist rescue equipment.